East sophomore Alexandra Fernholz mails her letter to an Ohio state representative about school safety. The letters invite representatives to discuss with students on how to make schools safer. During the walk-in, East students gave 17 seconds of their extra-help period in memorial for the 17 students killed at Marjory Stoneman Douglas High School. After that, students went downstairs and took part in activities on main street, like buying snacks from the bake sale, where all proceeds will be donated to the impacted families of Parkland. 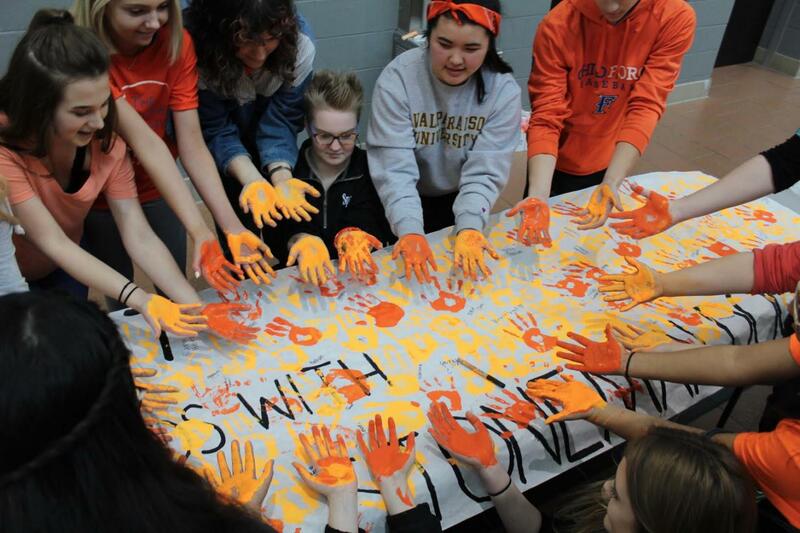 Students were also able to put their painted hand on banners to show support and solidarity for victims of school shootings. “I love that everyone here is coming together as a school and standing up for what they want,” East senior Madison Kessler said.